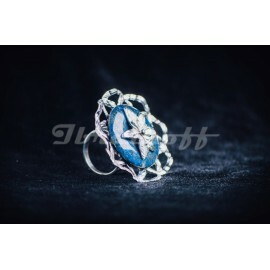 Unique Sterling silver ring FLAMBOYANCE with filigree and crystals, handmade by IBRALHOFF.. 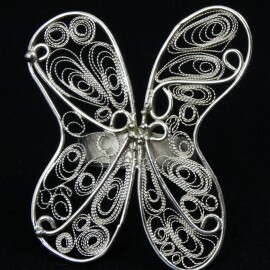 Appealing, trendy, daring piece of jewelry. 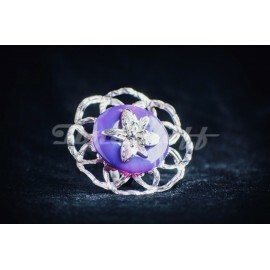 For flowery romantic girls and blooming women. It’s got a gripping catching design and a timeless look. A real visual manifesto. Tickles your sense of lead.. Stick to your premium quality pick! Really graceful, stylish and creative, this versatile addictive jewel showcases a genuinely contemporary and organic look, it’s poetry on your skin! 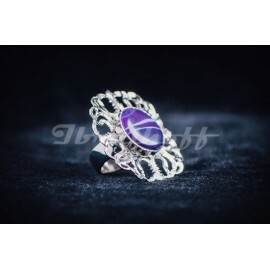 Owing to its fl..
Delicate, coquettish silver ring, stylish and versatile, suits you just fine! Takes you off under starry spotlight. 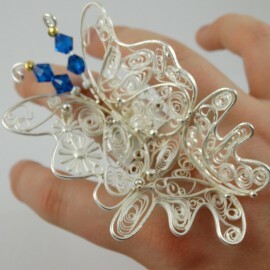 Your are centre stage by wearing this positively gorgeous art jewel! 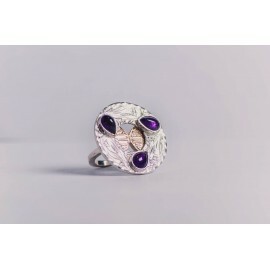 Sterling silve..
Sterling silver ring prominent and noble, stylish and audacious-looking. Awfully emblematic of you style! Carries you off to a really romantic region of beauty. 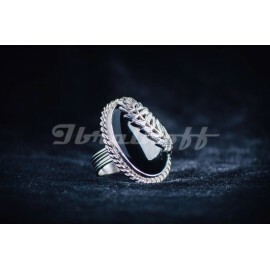 Sterling silver ring with oval onix st.. 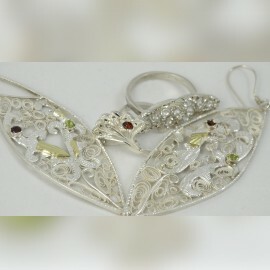 Wear this marvelous silver jewel heartily! 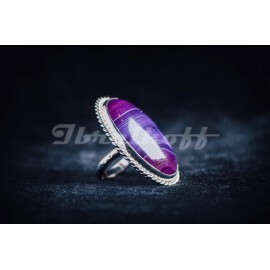 It’s a signature art jewel, very elite-like, with a strong, assertive identity and flair. 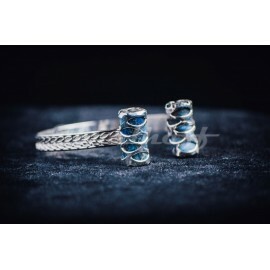 Makes the most of your style on glossy evening dress, at showy soci..
Effectful silver ring, youngish and comfy. You’ll love it! So very chic and shapely. At office , on street, with your bathing suit, at fancy showy dinners, it’s simply wowing! Feels so good on your sk.. 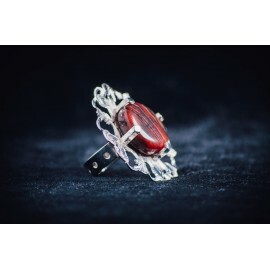 Figure it out, fancy yourself on flashy catwalk, so feminine and seductive, or maybe downtown any metropolis wearing this branded jewel, finely crafted and engraved, with its unique princely cast and ..
Spice up your daily outfit with this stylish creation, protruding and lovely. 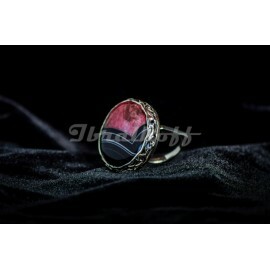 Squarish ring and a beautiful circular crystal agath stone on top with strips of enchanting colour. Take it at work, at wa..